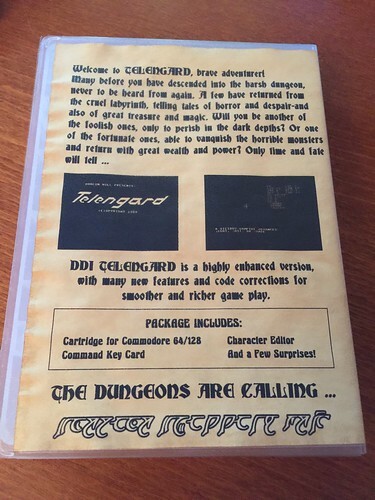 After months of planning and talks about reissuing DDI Telengard on Cartridge, it has finally arrived. And it is better than ever! 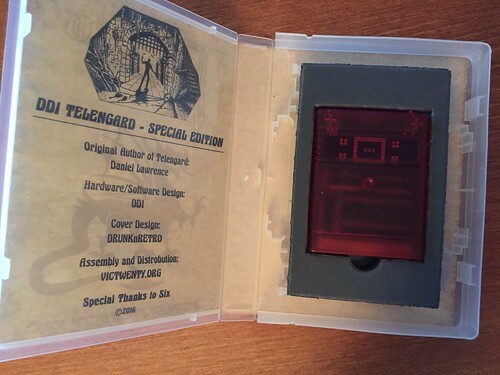 Back in 2014 DDI made a limited run of 10 Telengard Cartridges for ECCC/VCFMW and they were a hit! And that was that until earlier this year. I was going through my cart collection and thought it would be too bad if more people couldn't enjoy this game on cartridge. So after a few other projects wrapped up, I approached Dale about re-releasing the 2014 PCB. He was open to the idea but thought that just reissuing the original board wasn't enough for 2016. So the idea to go one better was born. 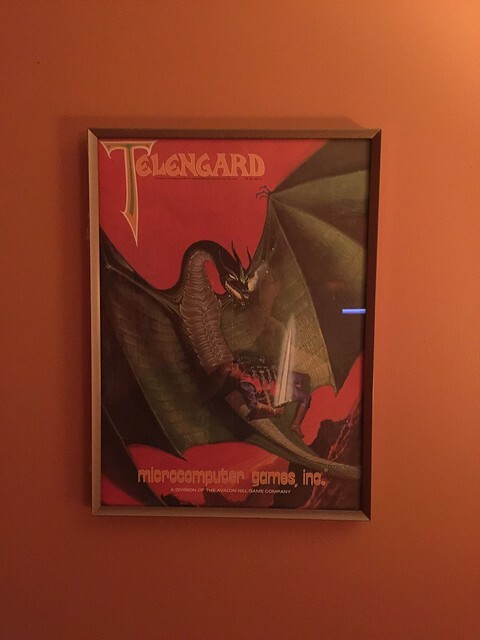 After we finished our version of the Multimax project, we set our sights on Telengard! The first idea was to use a better board. 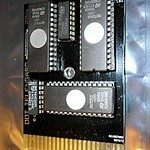 Dale had many other designs and he came up with the idea to add a title screen and SID music. Dale compiled an excellent image which includes his Character Editor and many other easter eggs (he says I probably haven't found them all myself) and we set about testing the image in an old version of WinVICE. In mid October I sent the PCB design out to the board house to be manufactured and started thinking about cartridge cases and artwork. I was seriously considering just making a cartridge label and calling it a day until I happened upon DrunknRetros website. 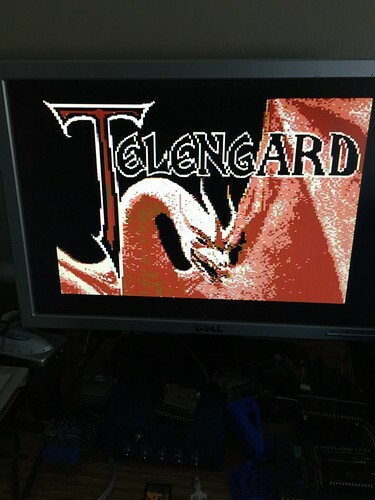 He had made some really nice looking artwork to go with his CPR3 based copy of Telengard. I immediately emailed him about the possibility of doing something similar for this release. What I found was a kindred spirit in Derek and he was happy to oblige. I have to say he went above and beyond to make this release something special. I know he has the same nostalgic feelings about these games as I do and I am happy to have made another new friend in the retro scene. So with an awesome new cartridge image and incredible artwork (the pages are all hand stained and aged) we have put together what I consider a commercial quality release. There are a few surprises, some the easter eggs in the image I spoke about and one that I will not have a picture of here yet, but it certainly gives this release a 1980s era feel for packaging. 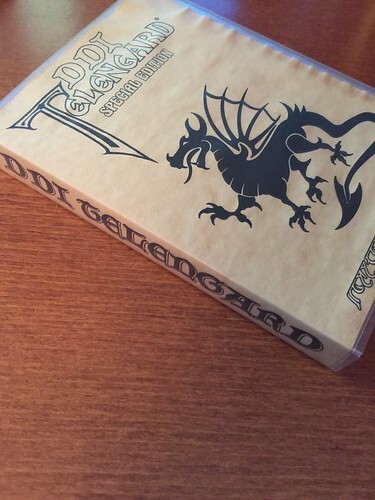 If you have not seen or heard of DDI Telengard, please read the DDI Telengard History linked on the right hand side of this page. It was written by Dale himself and is a great read. I cannot thank Dale and Derek enough for making this project possible, I could not have done it without them! If you would like to buy one of these, I will have them for sale starting Saturday Dec 2nd and will post an update at the start of World of Commodore!